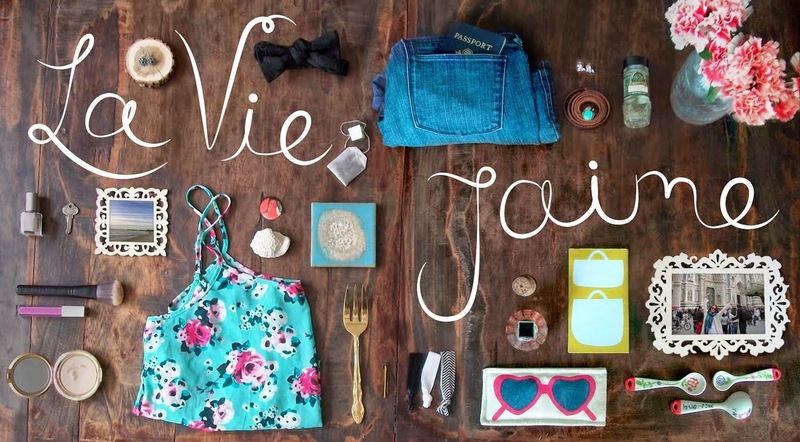 La vie Jaime : 200 followers giveaway! I reached 200 followers this week- thank you! As promised, I have a giveaway here to celebrate! Back in November, I gave you all a chance to ask me some questions. One was about my ideal fashion era, and I said the 1960s. I have this fabulous coffee table book from Taschen's Icon Series, 60s Fashion: Vintage Fashion and Beauty Ads that my brother got me for xmas. Fortunately for you all, he got 2, so I could host a giveaway! Be a follower La vie...J'aime (on the sidebar) and let me know your ideal/favorite fashion era. 2. Tweet (mention @laviejaime) or blog about this giveaway. Winner will be randomly drawn on Tuesday. Good luck! This is the most fabulous giveaway EVER!! That book looks fantastic. I am also a huge fan of the 1960s, although my favorite fashion era is the 1950s...something about those big poofy skirts really sets my heart a flutter. Hehe. Would love to add this to my coffee table collection! Great giveaway! and congrats on the followers! I am already following you on twitter, of course! What a great giveaway! By the way - CONGRATS! 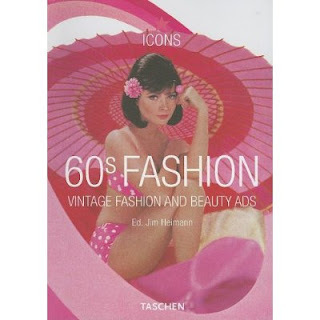 I also adore the 1960s... so hard to pick just one decade.... Would love to own this fabulous book. Congrats on 200! I follow you on twitter, Im m_kennedy9, and I retweeted this giveaway! Great giveaway! Congrats on 200 followers, honestly, I'd be delighted with 20 ;)! You're an inspiration, great blog. I'm a follower, and my favorite fashion era would have to be the 50s, but not vintage, like the Mad Men look - red lipstick and tailored suits, very sophisticated. Love it! I love coffee table books and the 60's is such a fun era! Glad I came across your blog. It's Lovely! Congrats on 200! Oh a lovely coffee table book! I think THIS is my fave era in fashion! P.S. I am a Twitter follower and I just tweeted this! Congrats on the 200 followers! You deserve 'em :) I'm about 60 away haha. I'm definitely one of your followers and my favourite era ... honestly, would probably be somewhere in the 1800s, I wish we still dressed like that. oh my goodness! first off congrats on 200 followers!!! i love the late 60's, boho style....hotness! sweetie,I already follow you thourgh bloglovin',does it counts? my favorite fashion era is the 70s! this giveaway sponsored by: Kyle Ganson. 200!!!! congrats!!! wish that times 100000000000000000000!!!! have a good one! Count me in please! I'm a follower! WHAT a fabulous GIVEAWAY...thanks Jaime!!!! Congrats on 200 (and counting)! Like you, love the 60's, vintage fashion--men in hats, women in gloves! Imagine that today?! Thanks Jaime! Keep up the great blog! I'm a follower and my fav era is the 60s too! Fun giveaway!! I'm a follower and I have to say my favorite is the '40s! I love the feminine styles and the men in suits, so lovely! I follow, so into the 70s right now! ;) Thanks for a giveaway. I would like to go to the '20s with the bobbed hair and flapper dresses please! cooooongrats! Id say the late 50s early 60s, but only because I have a fashion crush on Audrey Hepburn, and some of my favorite Audrey films are from that era.